It might be because it’s raining. It might be because I’m tired. It might be because I’m cold. It might be because it’s Sunday… but whatever the reason, sometimes a pair of jeans and a t-shirt is all I can think/be bothered to wear. But what if I’m cold, tired, hungry AND want to go out without looking like a bag lady? Well they’re only one thing for it, and it’s statement jewellery. 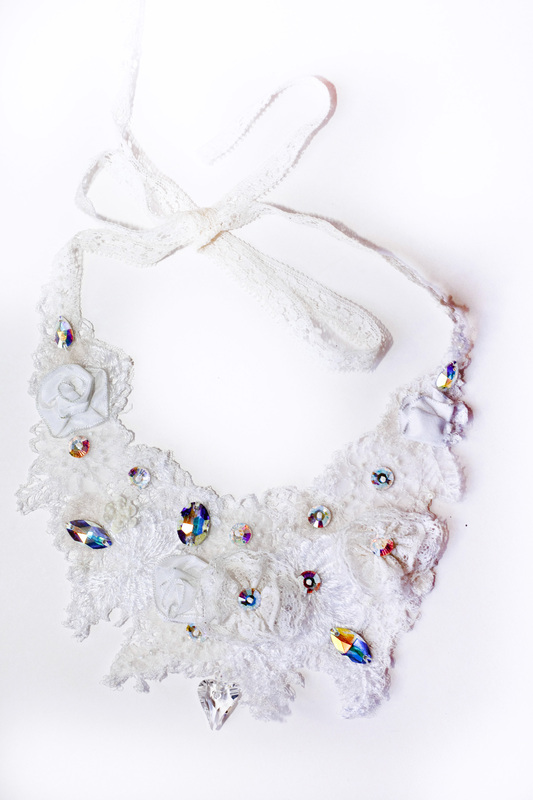 Using couture embroidery, antique lace, vintage fabrics, and embellishing with Swarovski Crystals, Jan Knibbs has created a collection of one-off pieces that start from £65. 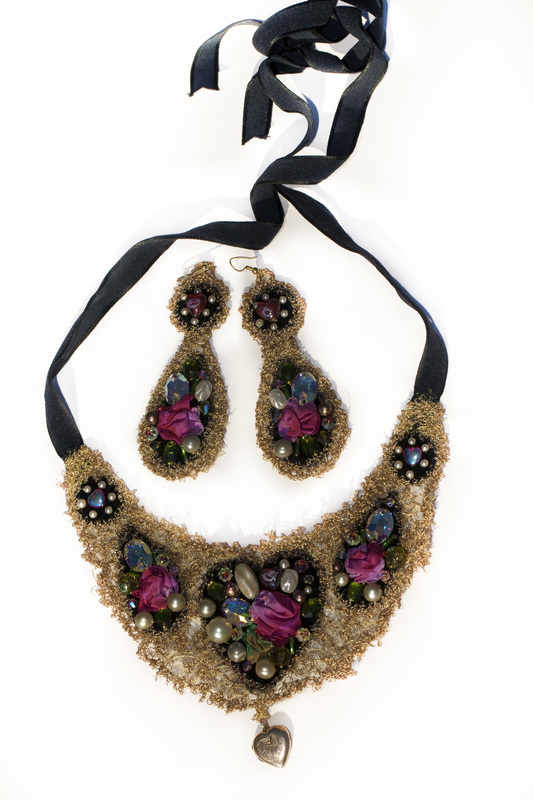 If one of these bib necklaces can’t pull your outfit out of the doldrums, then it’s best that you stay indoors. Gogeous necklaces! Statement jewellery is such a great way of making and effort without actually making an effort! I am such a lazy dresser, I love it! Threesmallapples in your inbox? Yes please. Sign up.